Kale Crisp Chips | STIR UP THE KITCHEN!!! Preheat oven to 425 degrees. Toss kale with oil, and spread in a single layer on 2 rimmed baking sheets. Bake, tossing kale and rotating sheets halfway through, until crisp, about 13 minutes. Let cool on sheets. Sprinkle with lemon zest and salt, and toss to coat. 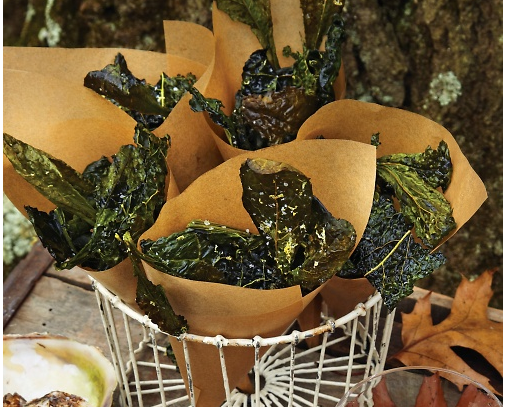 this specific article, “Kale Crisp Chips � Country Kitchen Recipes”.